WOODSTOCK, NY – We were getting back on our bikes outside of a trendy coffee shop in New Paltz, NY when a man approached, got in my face and growled menacingly, “You guys on your (blanking) cool Italian bikes.” Before I could ascertain whether he posed a threat, the guy burst out laughing, then complimented us on our choice of motorcycles. 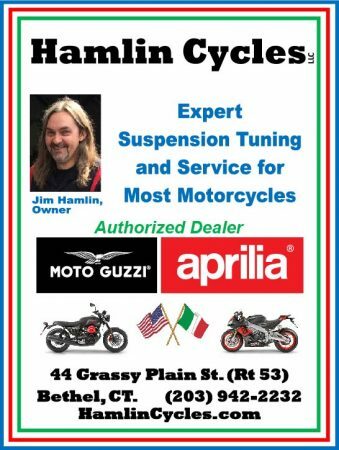 I was on my white 2011 Moto Guzzi Norge, while riding buddy Bob Rosen was on his new white 2016 Ducati Multistrada. 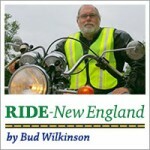 It was last fall, and Bob and I were headed on an overnight ride to the Catskills, with Woodstock being our destination. Our goals were to carve some fun roads, do a little sightseeing, and eat some good food. The trip began on a positive note. We had agreed to meet at a gas station at the intersection of Route 22 and Route 21 in Wingdale, NY. Bob was riding up from his home in Queens while I was coming from northwestern Connecticut. As luck would have it, we arrived within seconds of one another. A good omen. We headed west on Route 21, eventually crossing the Hudson River in Poughkeepsie and then on to New Paulz where we paused. Road maps and GPS were superfluous as Bob the knew way. Lunch in Ulster County at Brio’s Pizzeria & Restaurant (see separate story) in the town of Phoenicia was followed by an invigorating and scenic 40-mile loop – northwest on Route 28, then north on Route 42 into Greene County, east on Route 23A and south on Route 214, which brought us back to Phoenicia. We then backtracked southeast on Route 28, taking Route 212 to Woodstock. 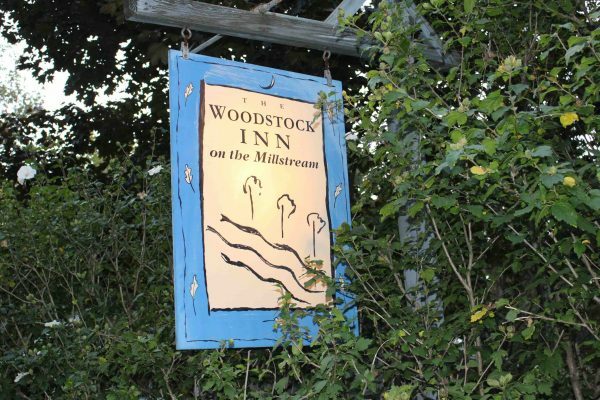 Our choice of lodging was The Woodstock Inn on the Millstream, a quiet, B&B-style affair that’s situated on three acres and borders a cascading stream. 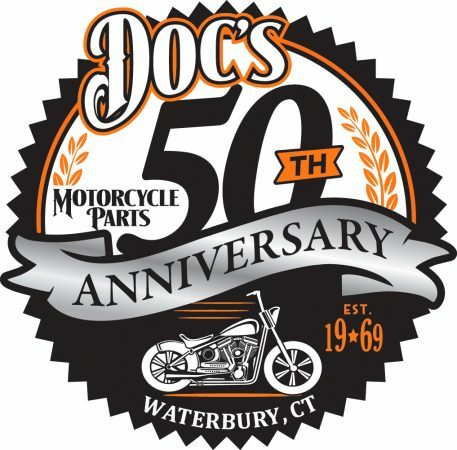 While a bit pricey for two motorcycle vagabonds solely in need of clean sheets and a roof that didn’t leak (room rates currently range from $159 to $375), The Woodstock Inn can nonetheless be recommended highly for its picturesque setting, its convenience (a short walk to the village), and for its friendly staff. Once we stowed our gear, Bob and I walked into town. 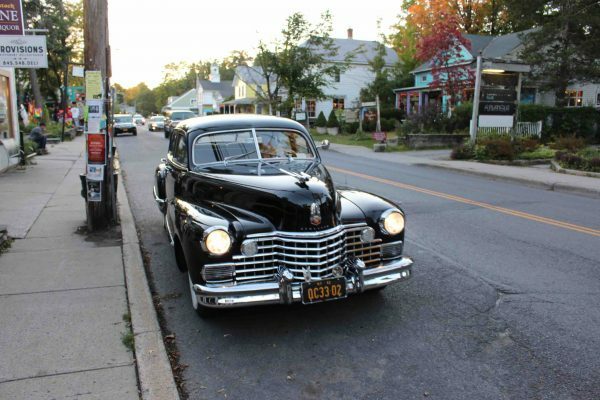 It was late afternoon, but the main drag was still busy with traffic. 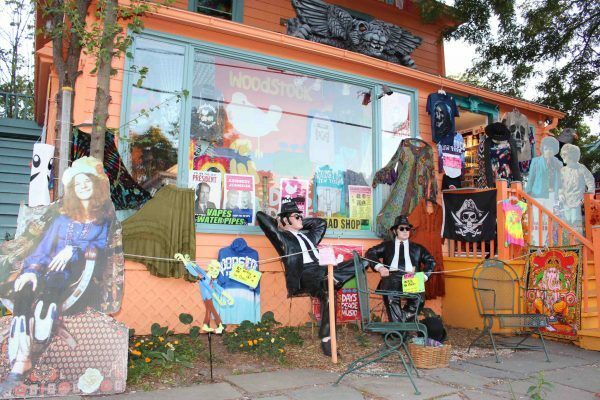 Make no mistake, Woodstock is a town that caters to tourists. 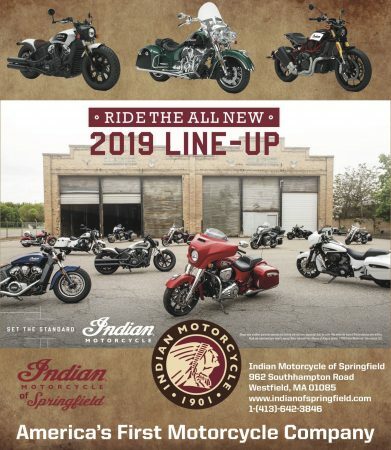 I would guess that many visitors still mistakenly believe that this was where the Woodstock Music Festival was held in 1969, and that hasn’t stopped the town from engaging in a calculated, misleading form of commercialism that detracts from its charm. It is a pleasant place to stroll, though, because there are sights worth seeing. 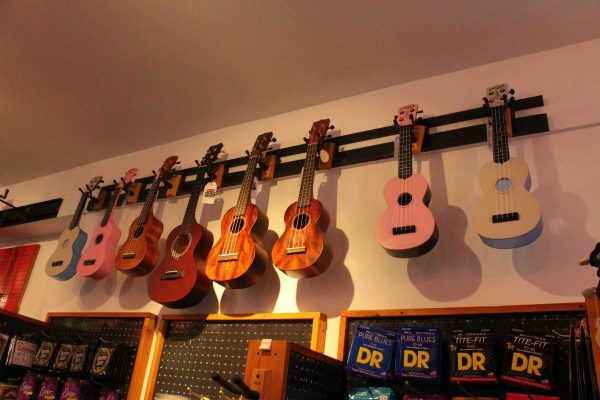 For instance, there’s the Woodstock Music Shop. 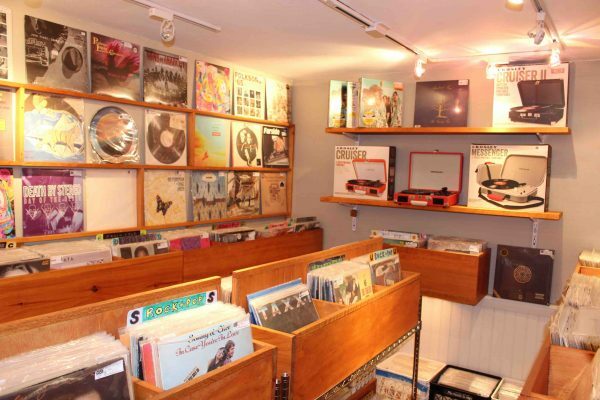 The shop occupies what was formerly a bank and getting to the vinyl section requires entering what used to be the vault. 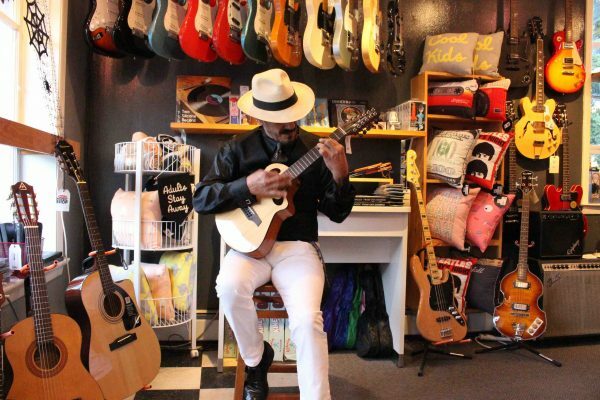 When we stepped inside, a Leon Redbone doppelganger was seated on a stool, strumming a guitar. 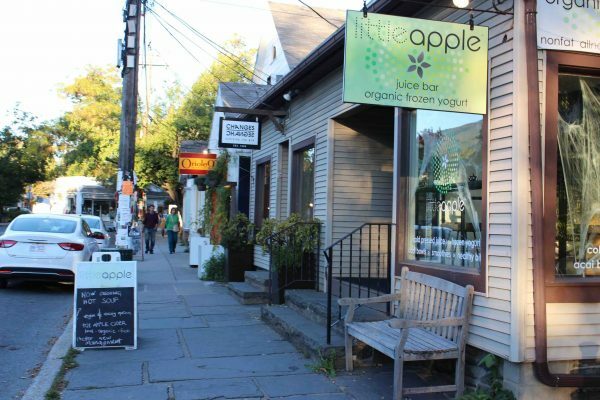 Overall, Woodstock’s downtown is compact with a mixture of shops and eateries, and we found it wise to keep our eyes peeled for memorable finds both behind storefront windows and on the streets themselves. There was Piotr Woronkowicz’s 1964 BSA B40 parked outside his office (see separate story) and Anthony Wright’s 1942 Cadillac Series 62. Wright has owned the hulking Caddy since 1999. “It needed to be restored,” he said, recalling that he found it in Arkansas. Because we arrived in midweek, some downtown restaurants were closed for the night. We opted to get back on our bikes and ride three miles east on Route 212 to The Red Onion in Saugerties. The place was packed when we arrived, so we added our names to the wait list before asking if we could instead eat on the front porch outside. No problem, except that it turned out to be much chillier than we expected and the service was non-existent. While our entrees were fine, it was a disappointing experience, made even more so by the fact we eschewed drinking because were we riding. In the morning, we rose early and walked back into the village for coffee and a treat at Bread Alone, an artisan bakery with wonderful offerings. 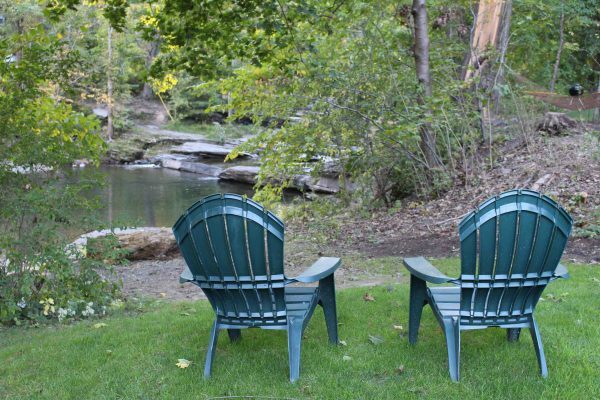 If there were more places like this, there would be no need for Dunkin’ Donuts and Starbucks. 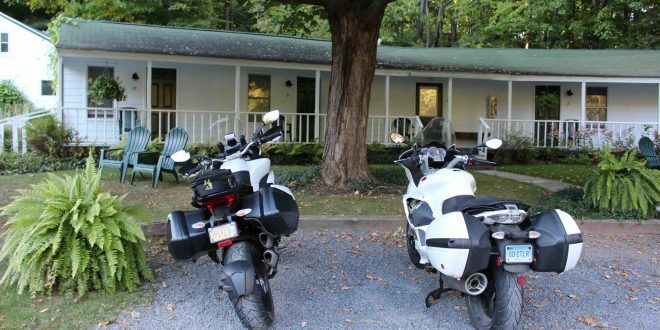 Back at the Woodstock Inn, we noshed a second time before packing our saddlebags and heading out. Our midday destination was Hudson, back on the other side of the Hudson River, so we backtracked to Phoenicia, headed north on Route 214 and then east on Route 23A. Bob had jokingly warned in advance that a curvy, mountainous portion of roadway was ahead, but I thought he was embellishing as he knows my dislike for such roads. I can get acrophobia to the point of almost panicking (especially heading downhill), and Route 23A provided a severe test for my nerves. 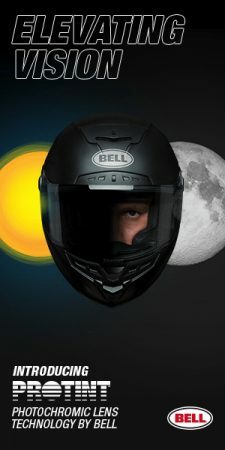 Aside from those 10 or so terrifying minutes, our overnight ride was a success, and the Catskills continue to beckon as they’re sufficiently close for an easy getaway and sufficiently rural to provide a relaxing place for spirited riding.